Michael D. Celock, 64, of Cranford, NJ, passed away unexpectedly and peacefully in his sleep at home on Sunday, February 26, 2017. Born February 12, 1953 to Mary and John Celock in Johnson City, NY, he grew up in Binghamton, NY and was a graduate of John Jay College of Criminal Justice in New York and had lived in Cranford since 1983. He was the managing director of the Omega Strategic Consulting Group, a management consulting firm he founded over three decades ago. Prior to establishing his company, he had worked in state and federal law enforcement. 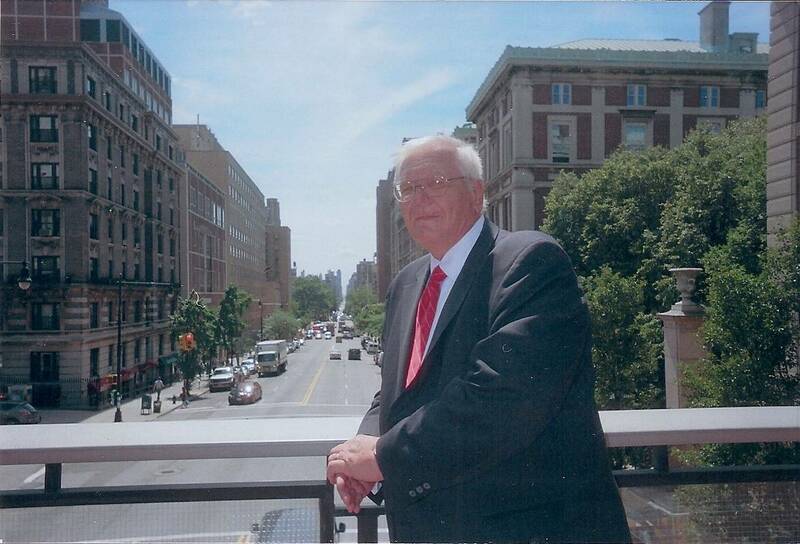 He was chief investigator for the New York State Commission on Judicial Conduct, where his work was credited with helping make the commission permanent in the 1970s. He also was a special agent with the New York State Commission of Investigation, where he was the commission’s representative to several federal task forces. He concluded his law enforcement career as a criminal investigator with the U.S. Attorney’s Office in the Southern District of New York. In the 1990s, he worked in the public sector on the development of the International Crime Control Strategy of 1998 as a special advisor to the President on international corruption issues and was named by President Clinton as a U.S. representative to the OCED and Global Forum on Fighting Corruption, Safeguarding Integrity and Security Officials. He was also a consultant to the U.S. Department of State Bureau of Narcotics and Law Enforcement and the Central Intelligence Agency’s Office of Transnational Issues. Michael was a member of the Association of Former Intelligence Officers (AFIO). With his wife, he was a co-chair of the Niagara University Parents’ Fund in 2002-2003. Michael was a devoted and loving husband and father to his wife, Kathi (Helen Katherine), and son, John Robert. He is survived by his wife, Kathi, of Cranford, his son, John, of Cranford, his brother, John D. Celock and partner, Mark Jeffries, of Dayton, Ohio, sister-in-law, Anna Derevjanik of Brooklyn, N.Y., cousins, Marilynn and Jack Sinchak of Fairfield, Conn. and family, Trina and Randall Smolen of Sierra Vista, Ariz. and family, and Sue Adams of Sierra Vista, Ariz. and family. Calling hours for the Wake will be on Friday, March 3 from 2 p.m. to 5 p.m. and 7 p.m. to 9 p.m. at Gray’s Memorial Funeral Home in Cranford. Prayers will be held at Gray’s on Saturday, March 4 at 8:30 a.m. followed by a Mass of Christian Burial at 9:30 a.m. at St. Michael’s Roman Catholic Church in Cranford. Burial will be at Fairview Cemetery in Westfield.